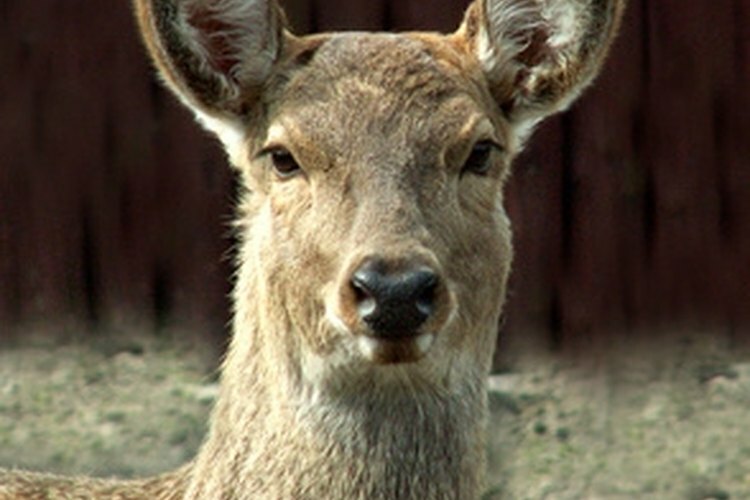 Deer urine attracts deer to the site where it is applied. Deer urine is used by many hunters to attract deer to a certain location in the woods or field. In this way, the hunter brings his prey closer to him so that he doesn't have to go looking for it. When urine and other deer scents are used, the main thing the hunter has to do is wait to see if the deer picks up the scent and comes to take a closer look. You can collect deer urine from a killed deer or you can make something that smells similar that will attract deer. Fill the bucket with water to within an inch of the top. Slowly stir the two ingredients to mix them. Be careful not to spill any. After mixing. leave it alone for 24 hours. Put a funnel over an empty 1 gallon milk jug. Use a 1 cup size ladle to scoop liquid off the top of the bucket and pour it into the jug. You do not want to pick up the bucket and pour because you do not want any solid pieces of Urea that are still in the bucket to end up in the jug. Fill the jug with eight cups of liquid to equal 1 gallon. Add 1/4 cup of ammonia to the jug. Put the lid on and shake the jug to mix.